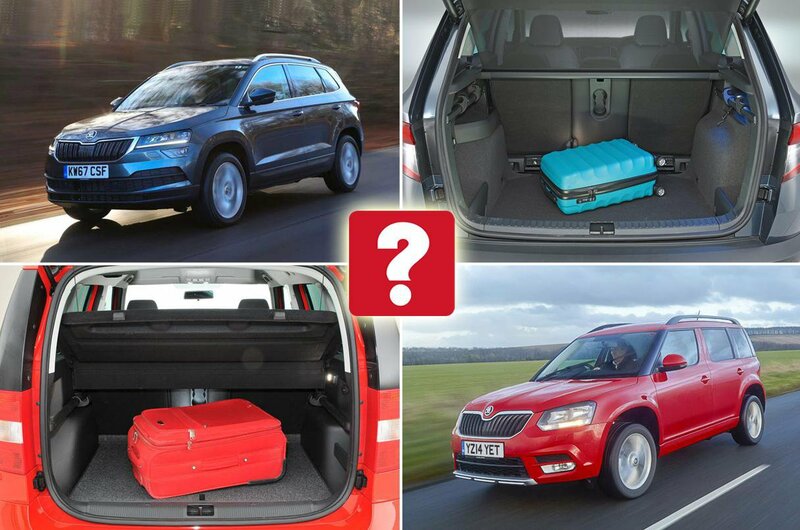 New Skoda Karoq vs Skoda Yeti | What Car? The Yeti was an immediate hit for Skoda, and sales grew every year of its life, so the Czech brand could have been forgiven for playing safe with its replacement. But not a bit of it. Instead, it had a major rethink, even ditching the Yeti name. The newcomer is instead called the Karoq, but what else has changed and is the resulting car an improvement? To find out, we’re comparing the Karoq and Yeti side-by-side. The Yeti was always one of the most distinctive small SUVs around, even after its 2013 facelift, which saw the big round front fog lights ditched in favour of more conventional rectangular units. In particular, the Yeti's boxy, almost van-like silhouette is instantly recognisable. The Karoq, by contrast, has a design that borrows heavily from Skoda's other SUV, the larger, seven-seat Kodiaq. So the Karoq is more conventionally good looking than the Yeti, but also a lot less memorable. Karoq buyers can choose from four engines, with a 113bhp 1.0-litre turbocharged petrol unit the cheapest option. This replaces the old 109bhp 1.2-litre, while further up the range, the Yeti's 148bhp 1.4-litre petrol engine has been axed in favour of a 1.5-litre that produces the same power but averages up to 52.3mpg in official tests – a 7.5mpg improvement. The diesel alternatives are a 113bhp 1.6 and a 148bhp 2.0, both of which are more efficient again, but for us it's the petrol 1.5 that strikes the best balance between performance, affordability, running costs and smoothness. 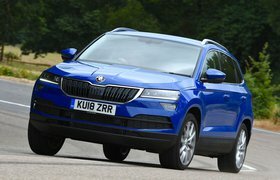 Skoda has given the Karoq a softer, more comfort-orientated suspension set-up than that found on the Yeti. However, it still handles well, offering accurate steering and plenty of grip. As before, six-speed manual and seven-speed automatic gearboxes are available, and 2.0-litre diesel Karoqs come with four-wheel drive, giving added traction on and off-road.